Started classical piano aged 4 or 5 and changed to violin at the age of 13. After studying Fine Art, she began to focus more on the dimentional gap in the relation between the „art object“ and the audience. 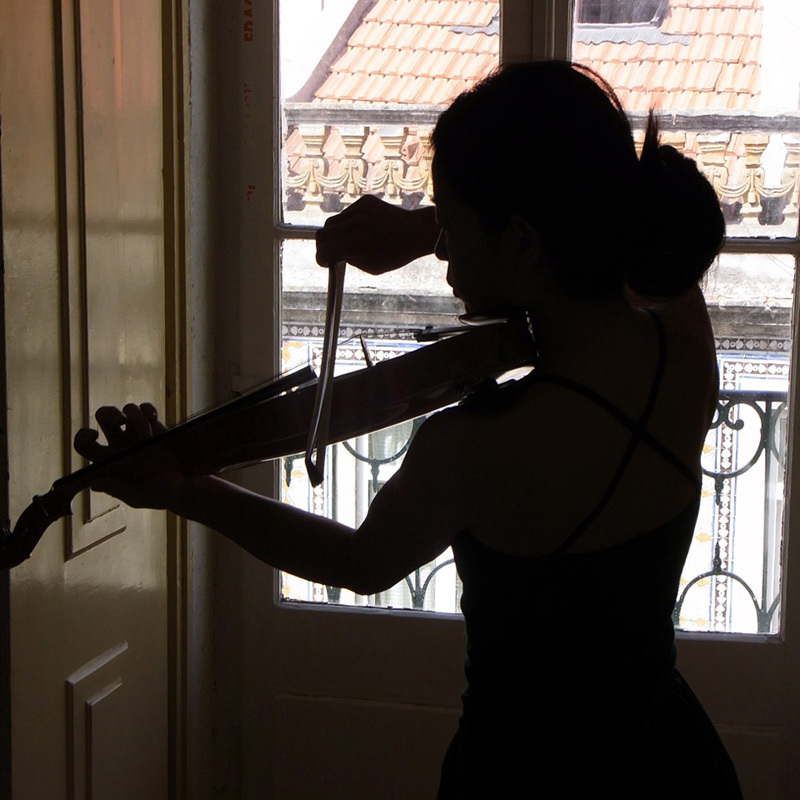 Through the search for an expression, in which the audience shares time (especially the moment), she began to do music improvisation performances. Since 2006, she has played at different events in Tokyo, China, Berlin, with various musicians and dancers. She is currently residing in Berlin.